Affordable Care Act Presentation in the Kingdom! | don't bite the apple…work is not a fairy tale! ← Training Fun in the Kingdom! Affordable Care Act Presentation in the Kingdom! We are so excited to announce to our local followers… We will be presenting on Tuesday, June 11th at the Algonquin Lake in the Hills Chamber. 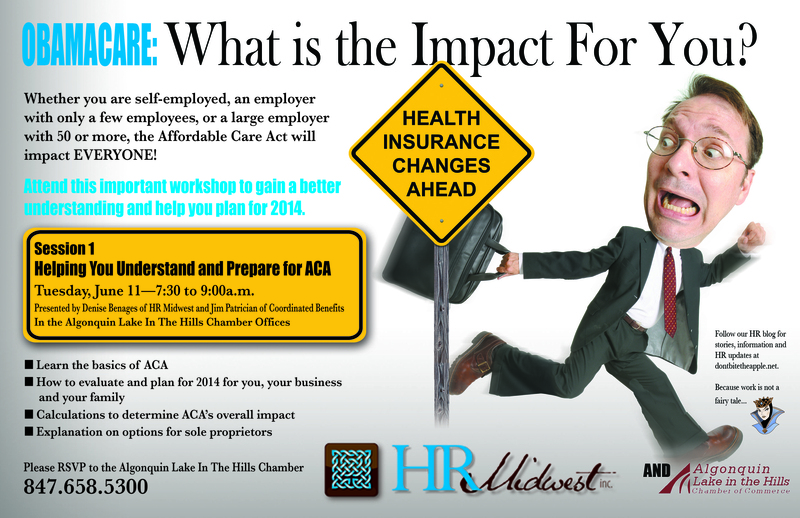 Please join us to learn about the Affordable Care Act! This entry was posted in Insurance, Uncategorized and tagged Affordable Care Act, employees, Health insurance, management. Bookmark the permalink. 1 Response to Affordable Care Act Presentation in the Kingdom! Thanks for doing this. So important. Unfortunately, I’ll be out of town and won’t be able to attend.